About the Primo All-In-One Series. The Primo All-In-One Series was developed with convenience in mind. 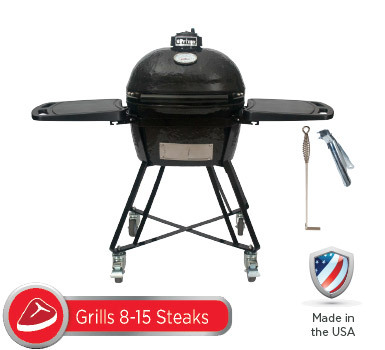 The vision behind the product was to offer a selection of grills that are ready to grill out of the box after a few minutes of easy setup and assembly. This series also offers a cost effective avenue for Primo customers to get a bigger “bang for their buck” without breaking the bank. 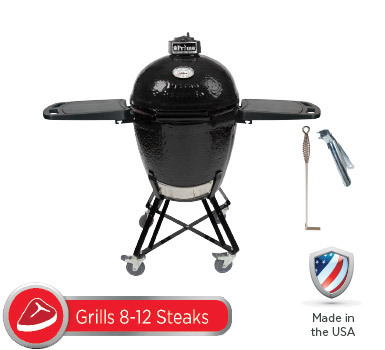 All four models are the same great ceramic grills we offer as stand-alone product with added accessories to provide a ready-to-grill experience out of the box. 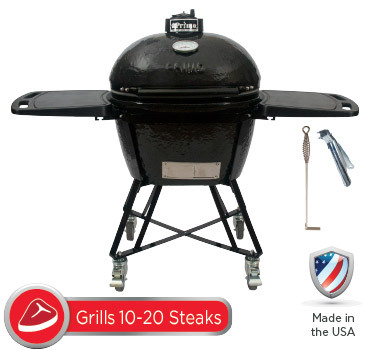 A Primo All-In-One Grill can be assembled in minutes and ready to cook. 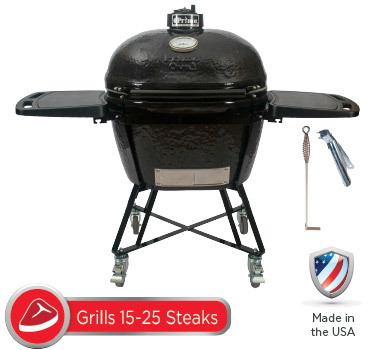 Once assembled just add whole lump charcoal, light and grill your favorite food.